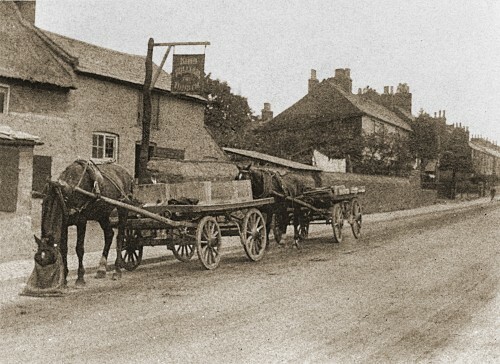 The King William lVth was an old thatched pub that stood where the Quorn Country Hotel is now. This image was very faded, but has been restored in Photoshop. The postcard itself looks very old and would appear to date from the very early 1900s.